Here is an article written by Dave Rat. This one brings us back to the "less is more" scenario when doing a live sound mix. 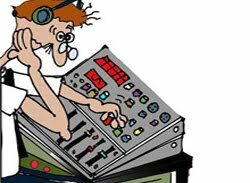 Dave talks about how you should not go overboard with all the frills of a sound mix until you get a basic sound mix dialed into the mixer. Makes sense to me. Click on the link below to read the article from the ProSoundWeb site. Enjoy!